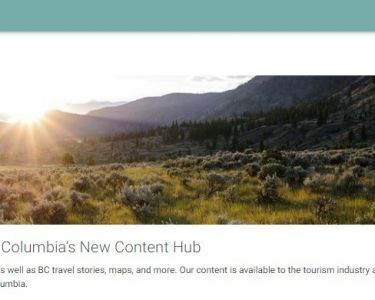 With the launch of our new DAM System, the BC Content Hub, Destination BC aims to create a single virtual library for the BC tourism network to access, contribute, and share content – the foundation for our Content Commonwealth approach. The first phase of the launch, which is live as of January 31, includes a new portal for industry partners to access the content Destination BC is curating, collaborating on, and creating in all formats (replacing our former Imagebank). Later this year, we’ll be offering the ability for partners to onboard to the system, which will allow all of us to access and collaborate on even more content from across the province in a single location. The new system redefines “asset”, allowing us to store and share not just photography and video footage, but also text files, audio files, advertising assets, and more – eliminating the need to store content in multiple places. More than just a place to store content, it allows Destination BC and future participating partners to centralize all of the work and collaboration that happens as part of content development – the project management, workflows, task management, rights management, editing, and feedback. It also gives us the ability to understand how content is being used through advanced analytics and reporting capabilities. Please stay tuned to our industry channels over the coming weeks for more information on the BC Content Hub and on building a Content Commonwealth approach. If you have any questions about the new system, including how you can participate, please contact us at Editorial@DestinationBC.ca. Be inspired to start planning your BC Vacation. Information for journalists, editors and broadcasters. Online, self-service business listings system for tourism industry. Centre" and all associated logos/trade-marks are trade-marks or Official Marks of Destination BC Corp.